Tenerife and the Canary Islands' Spanish heritage dates back to the 15th century, and is home to historical towns, architecture and sites. La Laguna is Tenerife’s former capital and considered to be the cultural capital of the Canary Islands. Its historical center was declared a UNESCO World Heritage Site in 1999. La Laguna is known for its many beautiful churches, including Santo Domingo, the Church of the Holy Christ and the San Miguel Chapel. Explore Garachico’s natural lava pools in this colonial port that was once home to the American colonists. Garachio is a port town that served as the gateway for trade between Europe and the New World in the 16th and 17th centuries. It is known for its many wine shops and also home to the oldest living Roca tree, just one of the many species of exotic and unique flaura and fauna in this fertile Mediterranean climate. 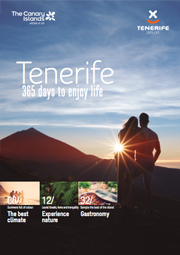 Tenerife, Canary Islands, is proud of its authentic traditions, fiestas, cuisine and, above all, its friendly people. From spring to fall, ox-drawn carts, traditional food, local wines and meats take center stage. Islanders wearing colorful ’mago’ costumes accompany ’parrandas’ musical groups who play tunes at popular festivals in Tegueste, San Benito (La Laguna) and San Roque (Garachico) among others. Popular fiestas are held throughout the year, many with a religious note. Holy Week in La Laguna and the Corpus Christi celebrations in La Orotava, are highly recommended. Other major celebrations pay tribute to the statue of the Virgin of Candelaria, Patroness of the Canary Islands, as well as the sampling of new wines at Icod de los Vinos, where local youngsters descend the hills on wooden boards at breakneck speeds. However, one festivity on Tenerife, Canary Islands, outshines the rest: the Carnival, which transforms Tenerife’s towns and its people every February. For several weeks in Santa Cruz, in particular, thousands in fancy dress, wigs and face paint fill the city with sequins, feathers, music and non-stop fun. Architecture is another aspect of Tenerife’s charm. Traditional wooden balconies of pitch pine, specific to the Canary Islands, often include intricate carvings. There never seems to be sufficient time to fully appreciate the island’s churches, convents, historic buildings, plazas, fountains and palaces, many dating back 400 years or more. In addition to historic treasures, Tenerife and the Canary Islands is also known for modern architectural gems. Calatrava’s curved lines and open spaces grace the Adán Martín Tenerife Auditorium and the International Trade Fair and Conference Centre. Swiss architects Herzog & de Meuron have left their creative signature on the Tenerife Espacio de las Artes, and the Plaza de España de Santa Cruz.